Previously controlling their own destiny in the 3A Sunrise League, Boulder City High School’s softball players will now have to play nearly flawlessly from here on out after Monday’s, April 23, heartbreaking 13-11 loss to rival Virgin Valley. After giving up three runs in the first inning, the Lady Eagles got their bats going in the top of the third inning, with a four-run rally to take the lead, before pitching woes doomed their hopes. Playing without star senior pitcher Bailey Bennett-Jordan, the Bulldogs rallied back with a three-run third inning and two-run fourth inning to regain the lead. After the Lady Eagles tacked on three runs in the top of the fifth to cut the deficit, the Bulldogs answered back with a five-run fifth inning. Junior starter Abby Giunta was charged the loss after allowing six runs off of four hits in three innings. Senior reliever Jordan Moorhead gave up seven runs in three innings off of six hits in three innings. Doing their best to not let their loss affect them, senior Jerra Hinson said she feels confident the Lady Eagles will put Monday behind them and get back to playing at an elite level. Hinson (2-for-4, one home run) joined Jordan Moorhead (2-for-4) and sophomore Ashley Wishard (3-for-4) as Lady Eagles who drove in a pair of runs each against the Bulldogs. 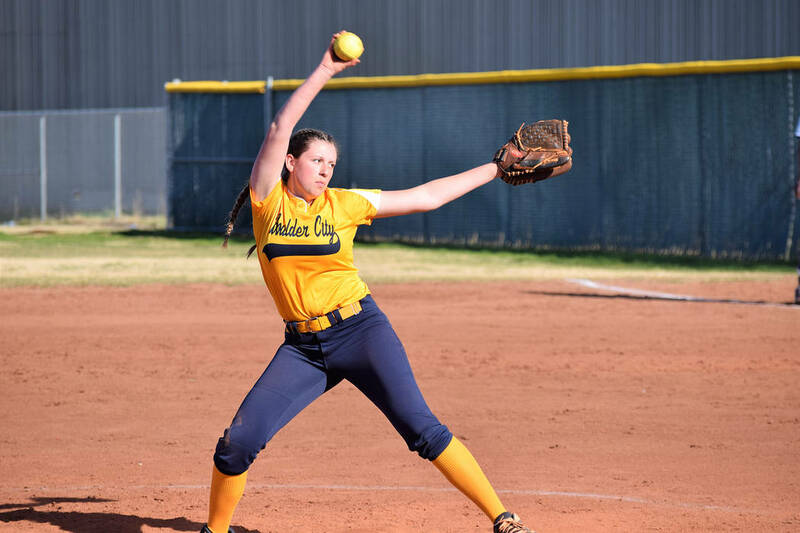 Showcasing their talents, especially offensively the game prior, the Lady Eagles routed Del Sol 21-6 on April 19, collecting a season-high 25 hits. Finishing the game 5-for-6 at the plate, Osman drove in a game-high five RBIs with a home run and double apiece. On fire this season, Osman leads the Lady Eagles in batting average (.623) and RBIs (34). Following Osman’s lead, Giunta (2-for-4, four RBIs) and senior Micayla Gegen (3-for-3, three RBIs) provided their best games of the season, while Hinson finished 3-for-6 with two RBIs and a pair of doubles. Giunta was awarded the win against the Dragons after throwing a complete game, allowing six runs on 13 hits. Playing for a shot at first place before Monday’s loss to the Bulldogs, the Lady Eagles are now tied with Chaparral for second place in the league standings. With a road game at Moapa Valley on Friday, April 27, and a home game against Chaparral on Monday, April 30, looming, this week’s slate of games will determine whether the Lady Eagles host a home playoff game this season.